In developer Double Fine’s triumphant return to Auburn Pines, our candy-crazed crusaders Wren and Reynold must once again protect Halloween from untold horrors, and grown-ups! Your favorite trick-or-treaters will come armed with a new batch of costumes they wear to transform into giant super powered fantasy Hallowarriors. 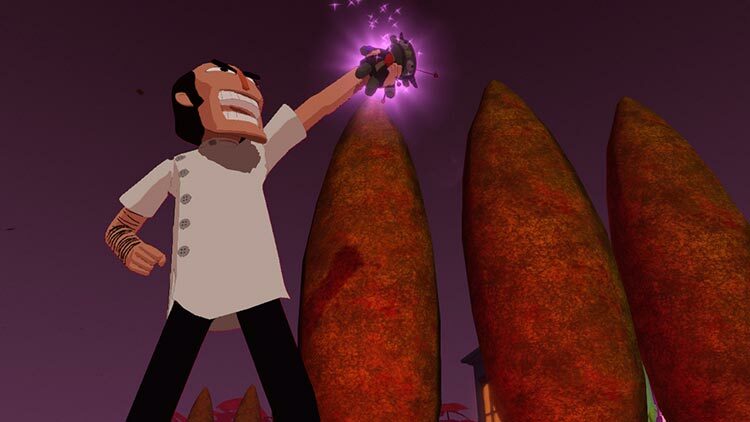 Fans of the original can look forward to a sweet upgraded battle system and a story that is unmistakably Double Fine. It all comes to a satisfying, not-too-saccharine-sweet conclusion, though. It's a lean, linear experience which will take you around six hours to complete. 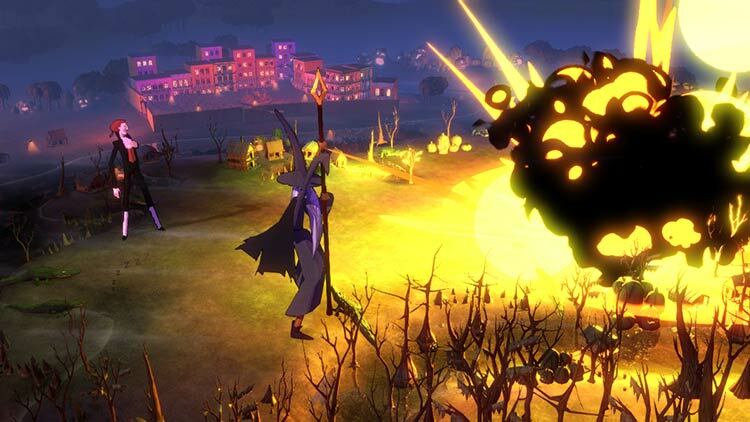 ...Limited missions and frequent fighting aside, every effort feels like it’s been made to create a wide-eyed love letter to All Hallow’s Eve. 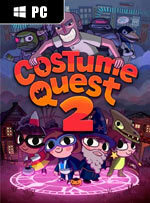 Costume Quest 2 is a delightfully tasty adventure that’s more swift hit of sherbet than delicate Belgian chocolate. Just make sure you play it before 31st October. Costume Quest starts fast and knows how to end on a high note that leaves you wanting to explore the world just a little bit longer. It'd be easy for a simplistic, family-friendly game like this to feel like a cash-in on what worked before; after all, this is developer Double Fine's first sequel. But Costume Quest 2 retains the child-like irreverence and genuine heart that make it a game worth becoming something like your favorite Halloween movie: an experience to revisit every holiday. 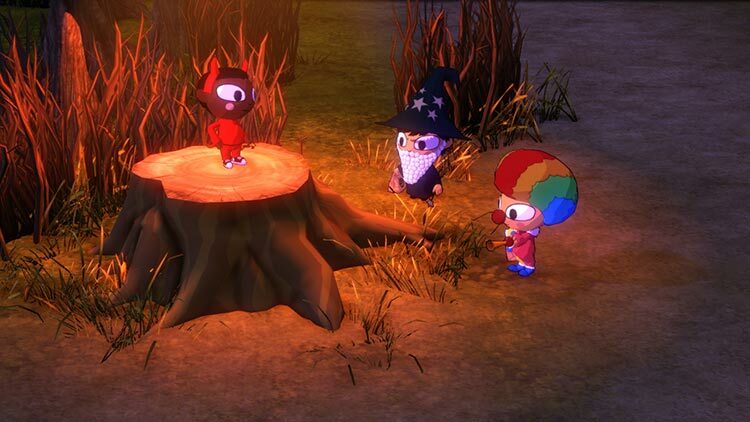 Costume Quest 2's combat and story are both surprisingly good for an RPG that concludes in roughly a half-dozen hours. A few weird design choices in regards to the health system and navigation meant that just a bit too much of that time was spent backtracking and squinting at a map, but its humor and personality shine through to make this a good Halloween bounty. Overall, Costume Quest 2 is one of those rare occasions where I can say that more of the same is just what the doctor ordered. With the right level of new polish to shore up some of the first game’s rough spots, along with a funny and interesting new story, this is one sequel that might be better than the original in every way. Costume Quest 2 is still a charming game. The writing, look and over all feel of the game had me constantly coming back, even when the combat and health mechanics dragged the game down a bit. Seeing all the new costumes and areas/time periods made me want to keep playing, and while the RPG elements are simplistic, there’s enough here for the casual RPG player. Despite its limits, Costume Quest 2 is a fun little treat, one that doesn't last too long but perhaps that's for the best. Double Fine has done a decent job overhauling the combat system but while there's a more robust set of mechanics than the first game, they do wear thin towards the end. Costume Quest 2 still has that Double Fine charm and any game that includes a Blazing Saddles joke in 2014 is okay in my book. Costume Quest 2 is occasionally heartwarming and more than a little charming, and it would make a fine introduction to the genre for budding gamers. But its lack of imagination, challenge and variety keep it from being really great. This is Double Fine's attempt at a Marilyn/Albert hybrid, but it's never quite beautiful or brilliant, no matter which way you look at it. The story is presented in text bubbles rather than voiced performances, and is kid-friendly with occasional references for adults. It's also downright silly and charming, even for a creaky old kid like me. ...Adorable, amusing, colorful and well-animated, but the combat is too simplistic and repetitive to remain interesting throughout the game. And yet, every time I had the chance to step away from Costume Quest 2, I didn't. I kept playing. Battles became tedious, but it was always worth it to see a pterodactyl put on goggles and drop egg bombs like a prehistoric B52. 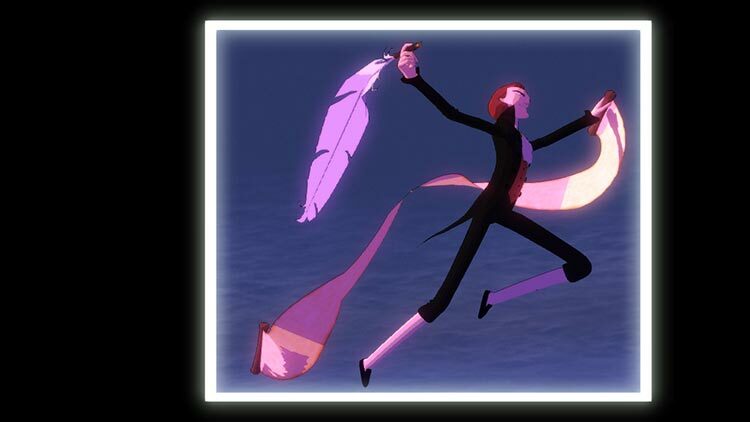 ...Collecting costume pieces could be a pain, but watching them in action was always a treat. Costume Quest 2 is a lot like the bags of candy Wren and her fellow Halloween heroes collect: often sweet, sometimes sour, and worth the occasional tummy ache. 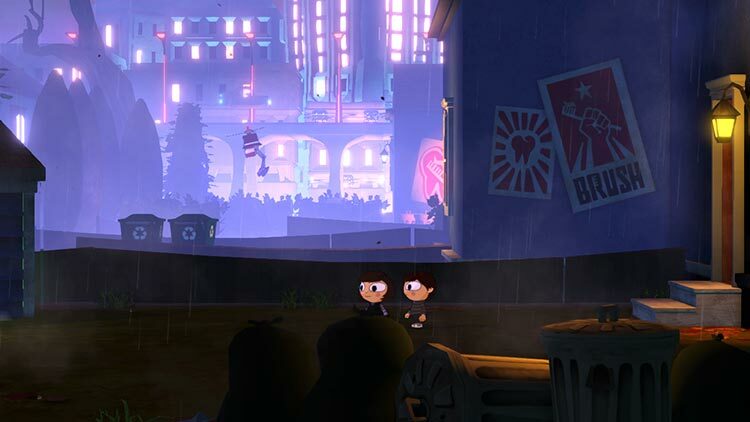 Costume Quest 2, like the first game, is almost split in half. Part of the time you’re navigating isometric environments, talking to locals, picking up candy, and solving puzzles. The other, larger portion of the game is turn-based combat where you can swap out costumes like classes and precise timing is rewarded. All Costume Quest needed was a more interesting battle system, better quests and a longer more involving story to be a great game. Costume Quest 2 has better quests and a more interesting story, and a better designed world. It’s still got the excellent writing, sound, and music that’ll keep most people happy, but it was the battle system that needed an overhaul most and it hasn’t had it. Aunque nos hubiera gustado toparnos con una aventura de rol algo más compleja en lo jugable, Costume Quest 2 mantiene el encanto que hizo del original un título tan especial. ...Con una mayor variedad de situaciones de juego, y un sistema de combate más elaborado, estaríamos ante una aventura de rol bastante notable.